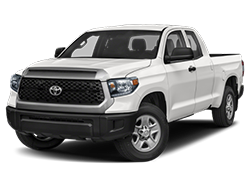 We have been customers of Rogers Toyota of Hermiston since moving to the area when we bought a used Ford Courier pickup. 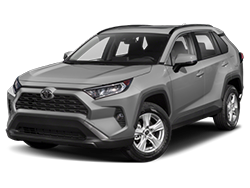 We have bought exclusively from the dealership and enjoy the reliability of the cars and trucks, especially the Toyota vehicles we have owned. 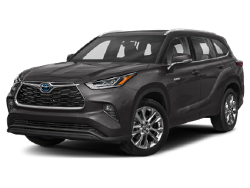 We know that they will find the right vehicle for us at a great price and the follow-up in the service department is just as great. Justin Wadkins and Roger Sharp in the service department are an important part of the Rogers Toyota of Hermiston team. Rogers Toyota of Hermiston's staff is always pleasant and we enjoy working with their crew. Their fifty years in business is a testimonial to the high quality dealership they are. 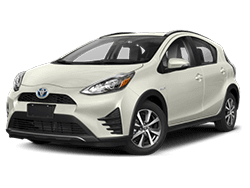 To us, the dependability of a dealership is just as important as the price, and with Rogers Toyota of Hermiston, we get both. My wife and I have been customers of Rogers Toyota of Hermiston for years and bought between ten to twelve rigs. We’ve always been very impressed with the businesslike atmosphere, but also there is a feeling of family. 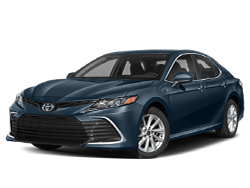 Fair prices, great service and the quality of Toyotas can’t be beat. Our relationship with Rogers Toyota of Hermiston is a family affair now, with our son buying a vehicle. 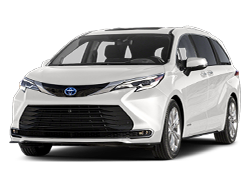 Our relationship with Rogers Toyota of Hermiston is one of trust and we have the opportunity to work with people who know their product. We are always confident that we will get a good and fair deal. Their repair and service department is fantastic. Alan Stephens is a great guy. Rogers Toyota of Hermiston is where we shop. We haven't shopped anywhere else. It's been a great marriage. Personally, we have been customers of Rogers Toyota of Hermiston for years. Any experience with Rogers Toyota of Hermiston has been a good one. The Service Department is great! They are so friendly and help in any way that they can. If you need something done on your vehicle, they get you in right away and get it taken care of. We have never had a bad experience at Rogers. We’ve known Mike Frink since he was an itty bitty guy. He’s a real straightshooter. We have been loyal customers to the dealership. We bought a 1965 Rambler American. We feel like we’re part of the family. Rogers Toyota of Hermiston has always been good to us! If we had a problem, it was always taken care of and resolved. We have purchased more than twenty vehicles over the years! 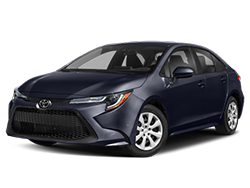 We have been loyal Rogers Toyota of Hermiston customers for years and have purchased over 20 cars throughout the years. Mostly new, but a couple of used vehicles too. 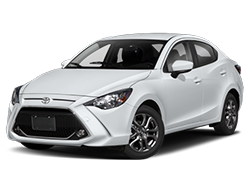 In my opinion, Rogers Toyota of Hermiston is the only place to buy a car! Randy Mendenhall and Mike Frink are the salt of the earth. They have always been honest, efficient and trustworthy. 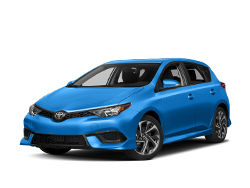 Rogers Toyota of Hermiston is great to deal with. We have never had problems with the dealership, including the service department. The guys are great! 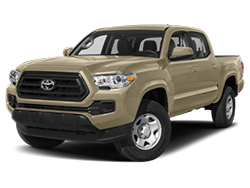 I bought my first vehicle from Rogers Toyota of Hermiston in 1984, and over the years, we have purchased six cars and four pickups. The friendliness and helpfulness of the sales and management staff can’t be beat. There’s nobody better! Whenever we have questions, they take the time to sit down with us and give us whatever information we may need. The service department is number one! Before and after the sale, we always come away with a good feeling. After buying a vehicle, we are always satisfied and feel that we have received a very fair deal. Rogers Toyota of Hermiston keeps us coming back! I wouldn’t go anyplace else! 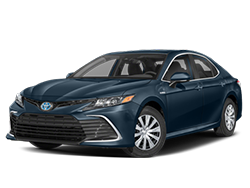 One of the primary goals for Rogers Toyota of Hermiston is to emphasize the entire Toyota ownership experience. We want to help ensure that our customers are satisfied, not only at the time of purchase, but as long as they own their vehicle. Offering top quality cars and trucks is, of course, the first step - but only the beginning. 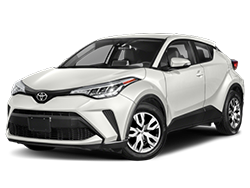 Toyota dealerships strive to match the quality of our products with the finest service in the industry. Rogers’ dealerships are family owned and operated for over 42 years, and we are committed to fulfilling our pledge of local community involvement, customer sales satisfaction, and customer service satisfaction. We are honored to be able to service all of your vehicle needs. We have service amenities including oil changes, diagnostics, alignments and much more! 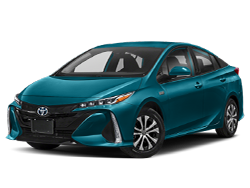 Rogers Toyota of Hermiston in Hermiston OR, near Pasco, Richland, Kennewick, Tri-Cities WA, La Grande, Baker City, Pendleton and Boardman OR. Our Hermiston Service center provides a range of services to help keep your Toyota running its best. Whether you need minor maintenance or extensive repairs, Rogers Toyota is your one-stop destination. We feature state-of-the-art service facilities, tools, and diagnostic equipment, coupled with the most experienced service advisors and technicians near the Tri-Cities area. This means that you can rest assured that your vehicle is in good hands while receiving service with us. Our certified professionals know Toyota vehicles inside and out. We are fast and convenient with excellent customer service. 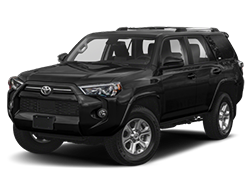 Our Toyota service department is able to keep your newer or older Toyota in peak operating performance. We have a small town personal approach to helping our customers, while providing our best value in a competitive big city market. 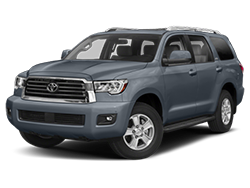 Your Toyota is designed to be reliable and provide long-lasting vehicle performance. 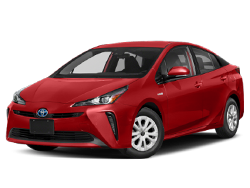 However, there are things you can do to make your Toyota perform even better, especially in light of rising gas prices. When you drive a little faster, you burn considerably more fuel. Slow down and increase your Toyota’s fuel efficiency. Once you’re out on the highway at cruising speed, use your vehicle’s cruise control. You’ll burn less fuel if you do. Slow down for hills. Maintaining your speed up a hill means opening your vehicle’s throttle, which burns more gas. On down hills, use gravity to help increase speed and improve fuel economy. Accelerate only when you have to, and only as much as you need to. Avoid jackrabbit starts, bring your Toyota to speed with a light right foot, and maintain smooth progress on the road. For slowing down or stopping, get off the gas as soon as you can. Use your brakes when you need to, but allow the other forces working on your vehicle to help slow you down. Whenever you can, keep your windows closed to decrease drag. For climate control, use your vehicle’s air conditioning. It’s the lesser of two evils. Roof racks and rooftop containers have extremely negative effects on a vehicle’s fuel efficiency. Remove them when not in use. Keep your oil clean. Change your oil and oil filter at the proper mileage/month interval. And remember to use the proper grade motor oil and a genuine Toyota oil filter. Make sure to replace worn out wiper blades to ensure a clear view of the road under all conditions. Being able to stop your vehicle is a critical part of driving. Inspect your brakes at regular intervals according to your Toyota's recommended maintenance schedules. Your battery should be checked periodically to ensure you've got the power necessary to start your Toyota under any circumstance. Tire maintenance is essential for a safe dive. Perform regular air-pressure checks and adjustments to help minimize tire wear and increase your gas mileage. Don't forget the spare. Make sure all maintenance items have been inspected and are in good working order. 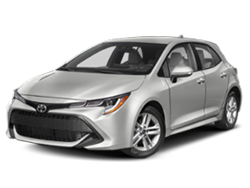 We at Rogers Toyota of Hermiston are proud to only offer Manufacturer based service recommendations. 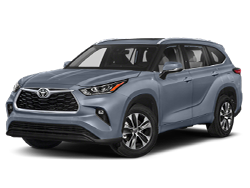 Many Service providers build extra services into their service schedules that are at times unnecessary and add expense to the ownership of your Toyota. 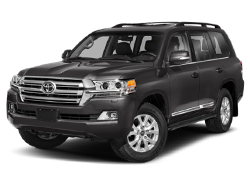 Our services mirror that of Toyota Motor Sales, our sincere goal is to provide you quality service at reasonable prices. 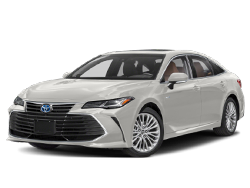 Genuine Toyota Maintenance Parts are the same parts used in the manufacturing of Toyota Vehicles, so they're the best choice in terms of fit, performance and overall quality. With Genuine Toyota Maintenance Parts, work can go more smoothly and you can be more satisfied with the results. In addition to our goal of making the service experience easy when you visit us in person, Rogers Toyota of Hermiston strives to simplify auto service with our range of online tools. From scheduling your next service appointment to ordering Toyota parts and Toyota accessories, we provide ample services online to save you valuable time. 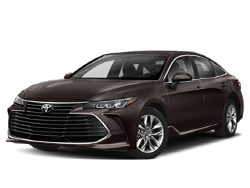 We want to be your first choice for all of your Genuine Toyota parts needs. We pride ourselves on our values such as honesty, accountability, excellence, and communication. Applying online is safe and easy, and it takes just minutes to get a response. Once approved, qualified customers receive a no-obligation Blank Check®, which works like a personal check and can be used to buy a new or used car or motorcycle, refinance or even buy out a lease. Our finance team will work to get you the best financing options available.